Card games are one of the best things to do with friends. Now you can combine your knowledge of internet properties with your desire to take your buddies down a few notches with Web Trumps, the card game for geeks who love the World Wide Web. 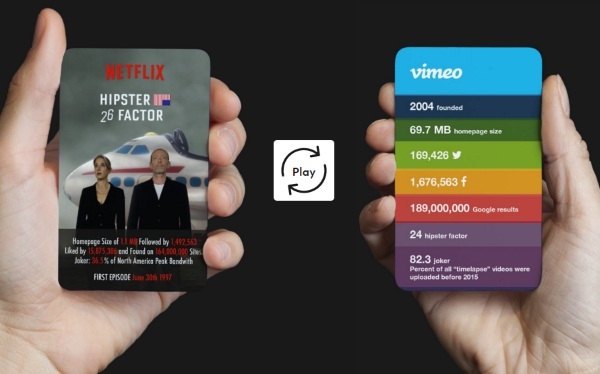 Web Trumps is a modern take on the game Top Trumps only instead of cars or homes, it uses popular web companies. The companies that the cards feature will be familiar to anyone who has spent any time on the internet. They include sites like Linkedin, Craigslist, and Netflix as well as services like Uber and AirBnB. It’s a fairly easy game to play. It’s a lot like War but instead of normal suites, you pick what attribute you think is highest on your card and hope it beats out whatever company your friends are holding. If you’re the kind of person is into internet business, it’s an easy way to spend some time your friends and learn about the wonderful world of digital businesses. 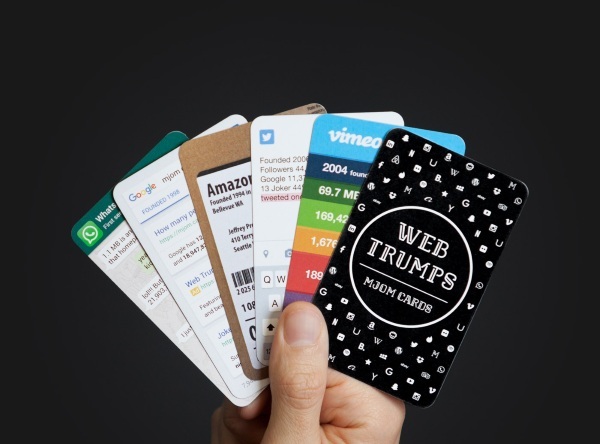 Web Trumps is €19.